M Missoni is like the younger sister of the original Missoni label, an accessible line of women’s ready-to-wear fashion featuring the Italian brand’s signature knit zig zag and heather flame patterns, plus a few surprises. M Missoni features as many office-ready pieces as it does party looks, making it a go-to brand for young women living in cities all over the world. The quality of craftsmanship and perfection of design Missoni has honed over the last 50 years is made fresh again with M Missoni, a collection for women in the know. 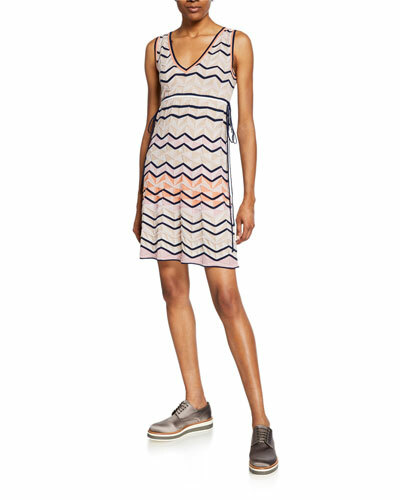 Shop a selection of women’s apparel by M Missoni at Bergdorf Goodman. 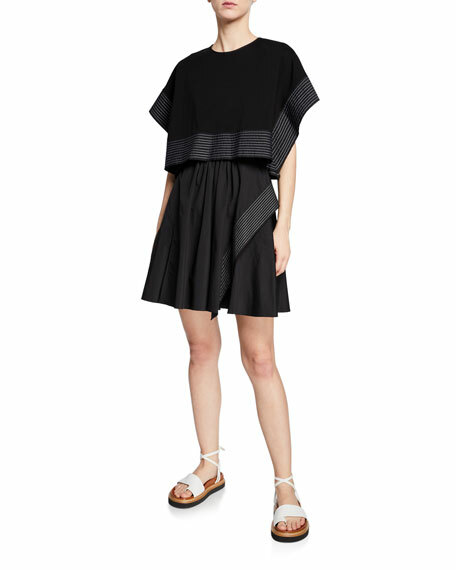 3.1 Phillip Lim poplin dress with contrast topstitching. Crew neckline. Short sleeves. Self-ties at back. Draped detail at skirt. A-line silhouette. Hits above knee. Slipover style. Cotton. Dry clean. Imported. 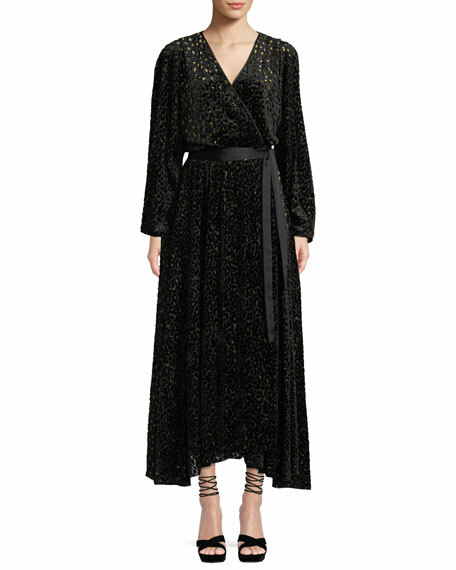 Diane von Furstenberg cocktail dress in animal-print velvet devor. Allover metallic detail. 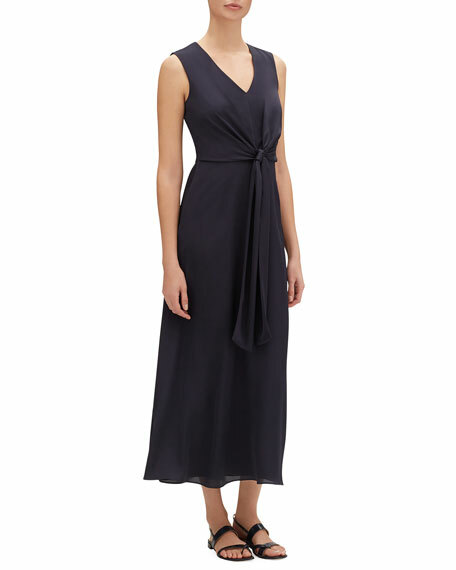 V neckline; wrap front ties at waist. Long sleeves. A-line silhouette. Maxi length. Viscose/polyester/nylon. Polyester lining. Imported. 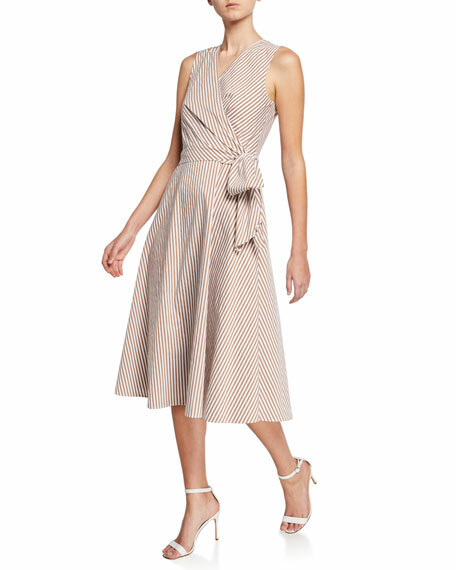 Lafayette 148 New York "Ambrosia" dress in Carlisle cloth with self-tie front. V-neckline. Sleeveless. Ruched, self-tie front. A-line silhouette. Midi length hem. Hidden side zip. Polyester. Polyester/viscose, lining. Dry clean. Imported.